On June 29, 2016, Leah Denise Pullano arrived safe and healthy. She was originally due on Mikey’s 12th birthday, June 14, but, as often happens, due dates change, and the little bundle was born a few weeks later. The older Pullano children, ages 3 to 20, all pitch in to take care of baby Leah. “They’re all helpful in their own ways, but the teenagers are really the most fun,” she said, adding that the extra sets of hands are especially helpful when Karen and Bill need to take others to doctors’ appointments, school events, gymnastics or even tackle driving lessons with some of the other kids. Rev. 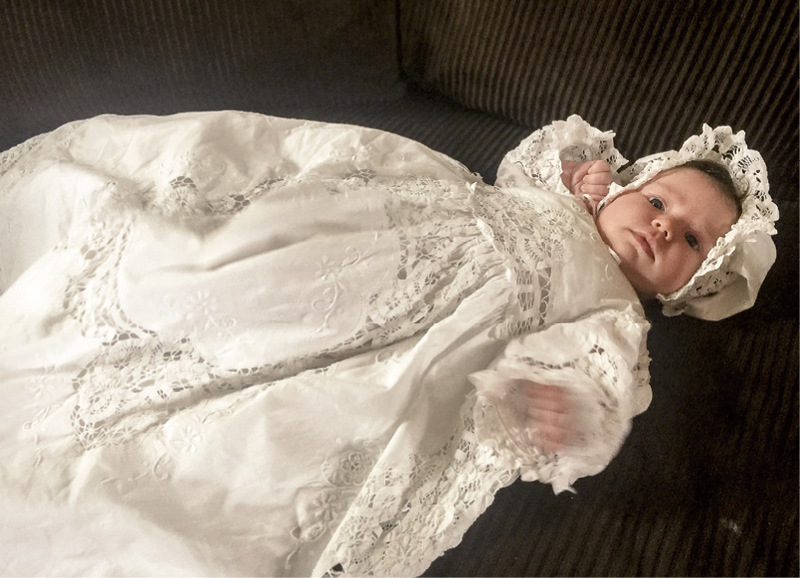 Robert Hyde, pastor, baptized Leah Denise Pullano in August at the Pullano family’s parish, St. Margaret’s Church in Mattydale, New York.